I recently made this bookmark I am rather fond of. 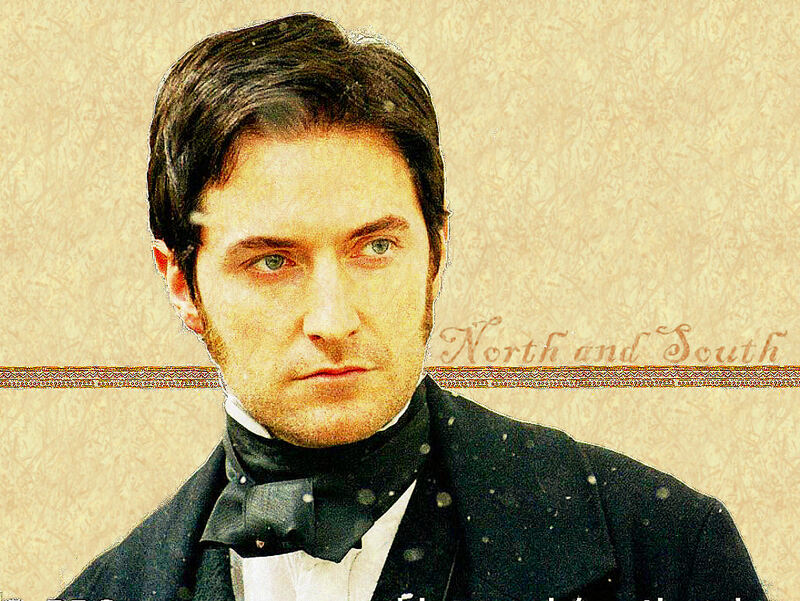 It is from the movie adaptation of Elizabeth Gaskell's North and South by BBC. A couple of the icons I used are from Fanpop. "Don't mock my own deep feeling of unworthiness." I love the bookmark. Wish I was that creative. It's so pretty! You're good. :) Wish that I had the patience to do stuff like that, but nope. Adorable! This movie series I simply LOVE! You are very talented putting this together with such touching scenes! My sister and are are obsessed and I will totally share this with her. Thank you!